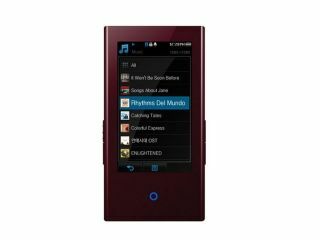 Most mobile phones are able to play music nowadays, but many people still prefer to have a dedicated MP3 player for their tunes. According to new data from analyst firm Research and Markets, 182 million MP3 players were sold last year - up by 42 per cent compared to 2005. The boom is expected to continue until 2011, by which time 275 million will be sold, according to the firm's forecasts. So far, MP3 players without video capabilities are dominating the market, but this is expected to change as early as next year. The next Apple iPod nano, for example, is widely tipped to be able to play video, leaving the iPod shuffle as the lone music-playing only Apple device. Samsung is one of the few companies that still develops MP3 players; it presented three new models at IFA. The most recent addition was the tiny Samsung YP-P2 which is less than 1cm thick but still manages to cram in an impressively responsive and easy to handle 3-inch touchscreen. It plays video clips in WQVGA resolution at 30 frames per second, which seemed a decent quality when we had a look. The Samsung YP-P2 also features Bluetooth so that you can listen wirelessly through the headphones. Two people can listen in at the same time via Bluetooth and a third can listen through the wired connection. The battery is said to last for 35 hours of music playback and five hours worth of video. The player will be launched sometime this autumn, and comes in 2GB, 4GB and 8GB versions.